A versatile, transportable and durable fully mobile shear baler for ferrous and nonferrous metal scrap. The Fully Mobile Shear Baler is mounted on a semi-trailer on wheels which only requires a tractor unit for transportation. This mobile shear baler is ideal for any site looking to avoid large foundation civil works, locations with energy supply issues and those considering a low cost and efficient investment in a shear baler that can be easily moved from one location to another. Featuring a low consumption diesel engine with a full remote control means that a single operator is able to feed and process scrap without the need of additional labour force. 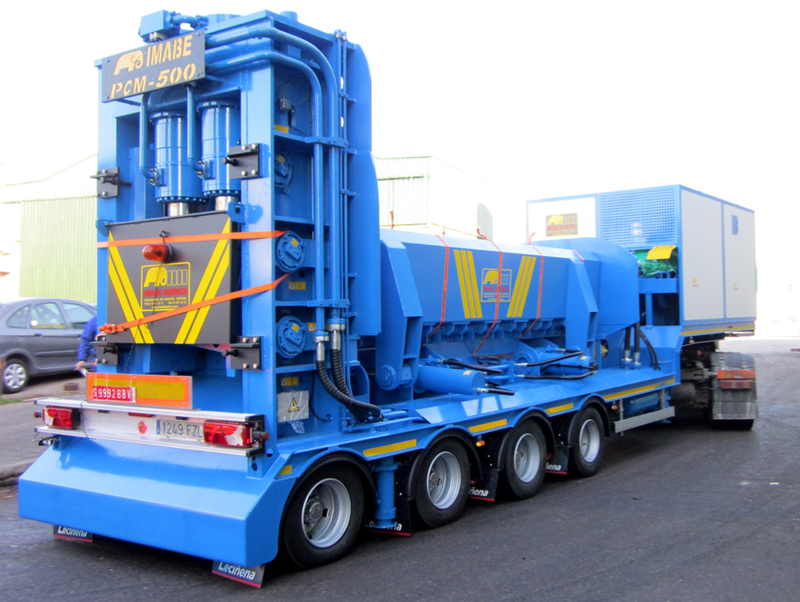 The Fully Mobile Shear baler is an affordable investment featuring a high quality hydraulic system and the iconic structural features of Imabe’s product design. Take a look at our Portable Shear Baler for a semi-stationary option.